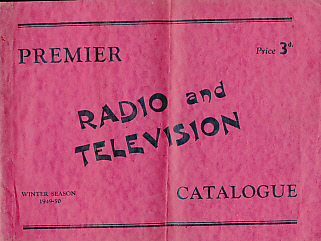 Barter Books : Premier Radio : Premier Radio and Television Catalogue. 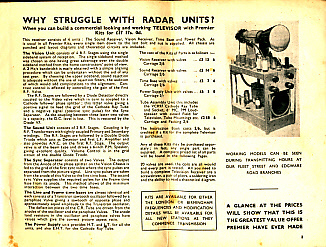 Winter Season 1949 - 50. 180 x 250 mm (7 x 10 inches) - 46pp. G: in Good condition without dust jacket as issued. Book has been folded resulting in noticeable crease to covers and content.